The Doppler building and its unfinished siblings are a symbol of how Amazon.com is transforming not only the city skyline, but its very fabric. 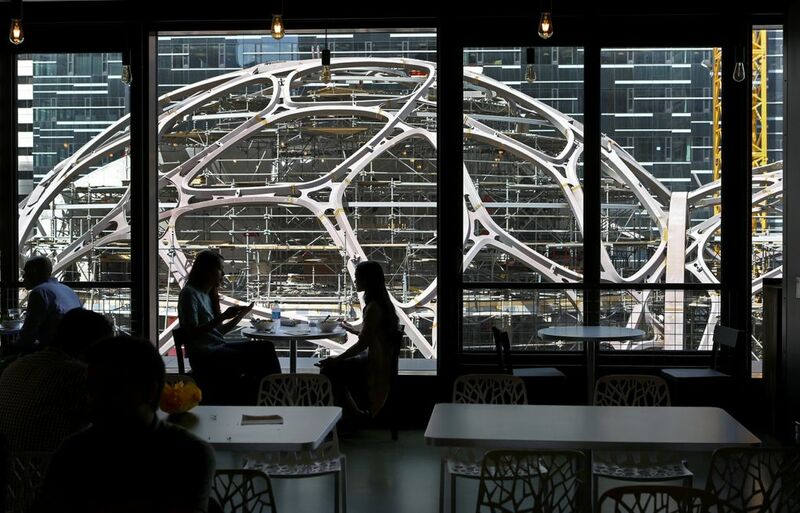 Welcome to the Amazonians’ soaring new lair. The 500-foot-tall Doppler building, rising where Westlake meets Seventh Avenue in downtown Seattle, got its name following a pattern well established at the Seattle tech giant — from a piece of corporate folklore, in this case the secret code name for the now popular Echo voice-activated speaker. Occupied since December, with room for 3,800 employees, it’s the first of three 36-story towers that will form the nucleus of Amazon’s new corporate campus. Some 3,000 staffers already work there. The campus is not yet half-complete — but it has already transformed the Denny Regrade, where one of Seattle’s seven original hills once stood. More recently it’s been a neglected neighborhood of motels and car-rental agencies. Now the area, simply called by its new inhabitants “the Regrade,” has a bevy of restaurants, patronized by Amazonians, that have taken root in Doppler’s block — including offshoots of popular outfits such as Marination, a Hawaiian-Korean place, and Skillet, which grew out of an Airstream trailer turned food truck. Doppler and its unfinished siblings are a symbol of how Amazon.com is transforming not only the city skyline, but its very fabric. 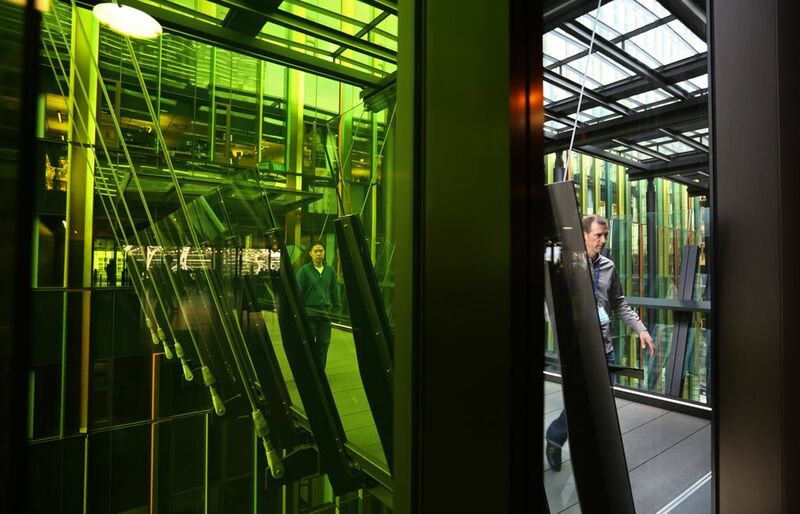 “It’s clear that they’re the largest private employer in the city of Seattle by far,” says Eric Schinfeld, chief of staff and executive vice president at the Seattle Metropolitan Chamber of Commerce. It’s also one of the largest taxpayers in the city, says John Schoettler, Amazon’s director of global real estate and facilities. 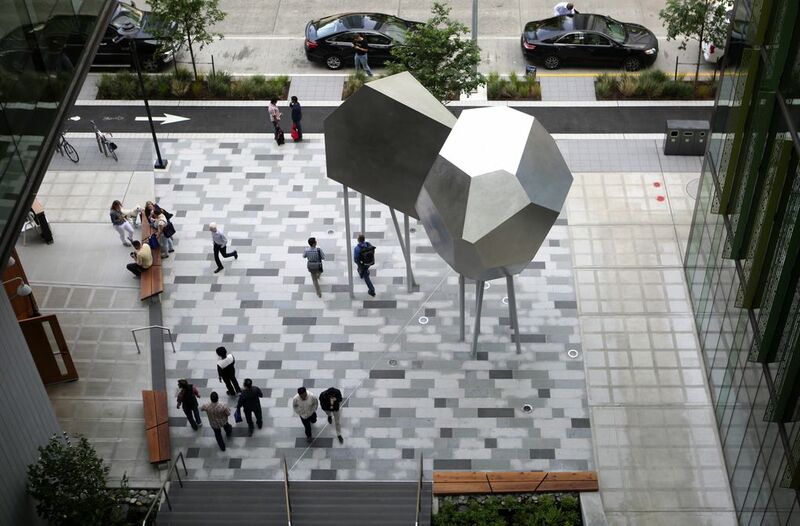 By the time the campus is completed — about 2021 — the company could have room for about 55,000 employees, about 8 percent of Seattle’s current population and more than twice Amazon’s current number of Seattle staffers. 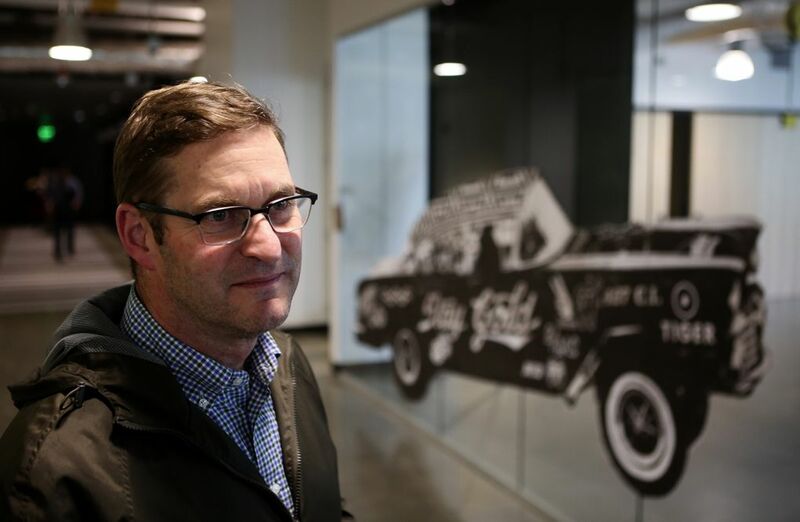 Schoettler, who grew up in Tacoma and is a Washington State University grad, joined Amazon in 2001 when the company had barely a million square feet of office space. When the new campus is complete, Amazon will have more than 10 million square feet of office space in the city. Fifteen years ago, Amazon workers were spread out all over the city, and the 57-year old Schoettler says he recalls staff meetings in which employees asked when they’d all be in one building. Since Amazon decided to remain downtown, it has sunk more than $4 billion into settling down. Doppler marks a new step in the way Amazon occupies its space. It’s a 36-story high-rise, as opposed to the low-rise South Lake Union campus, which was built by Vulcan. Amazon is building this campus from scratch on a piece of land bounded by Blanchard Street, Westlake and Sixth Avenue, which the company purchased from the Clise family for $207.5 million in 2012. 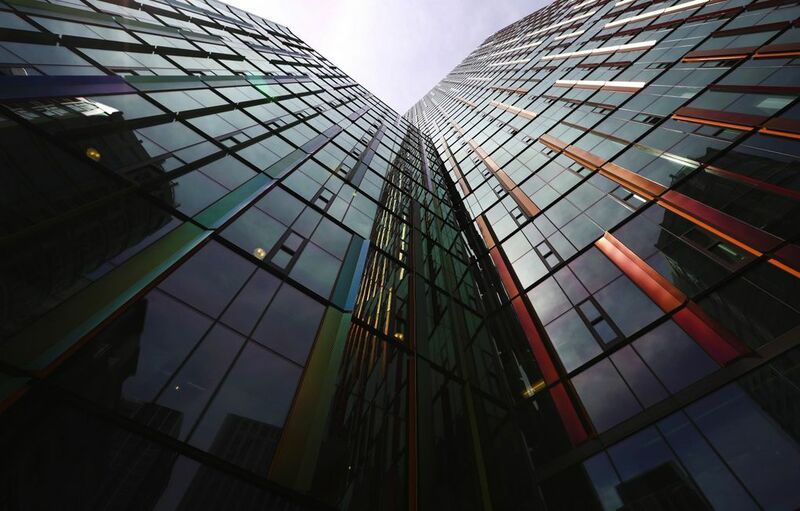 It is designed to Amazon’s unique specifications under the watchful eye of NBBJ, a global architecture firm with headquarters in Seattle. 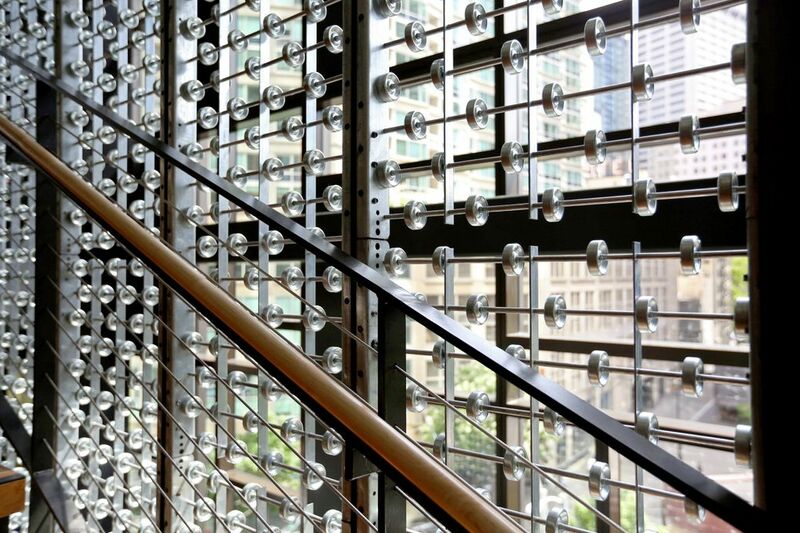 A couple of floors are accessible, as is a plaza with public art. 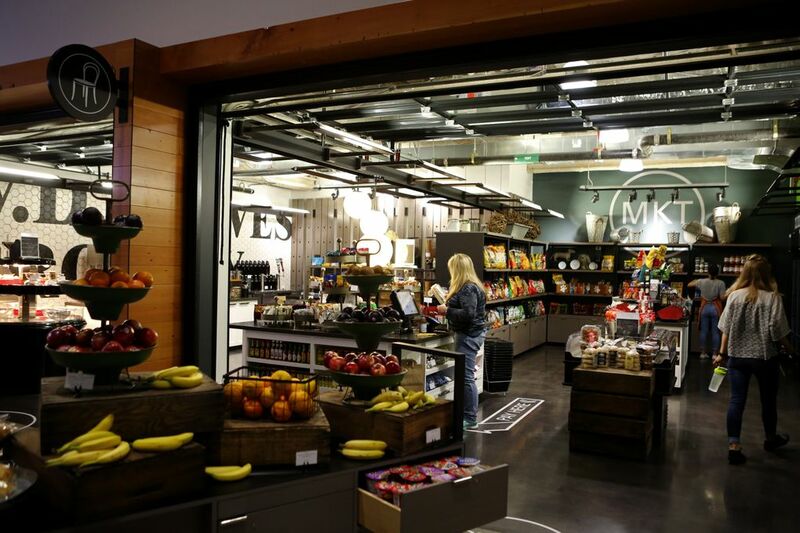 Past the security gates, the first thing Amazon employees encounter is an area dubbed “Market Place,” which is a relatively small atrium with an entirely self-serve market, offering food products and flowers. “We really wanted people to have a place to have chance meetings,” Schoettler said. A floor above the market is a sort of “genius bar,” where Amazon staffers can get their tech support. On another floor there’s an outdoor area with a grill for barbecues, and a couple of food counters offering Asian food and Italian-style sandwiches. There’s also a video-game room, a room with pingpong tables and a “maker space” with 3-D printers, where Amazonians can deploy their artistic and technical skills. 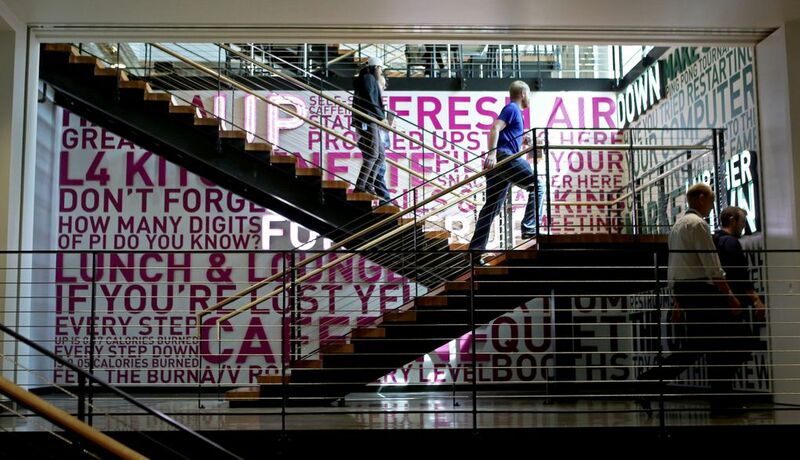 Office spaces are easily modified, with walls that can be quickly reconfigured because Amazon teams are moved around frequently, “like a Tetris game,” Schoettler says. Here the teams have the option to quickly customize their space. 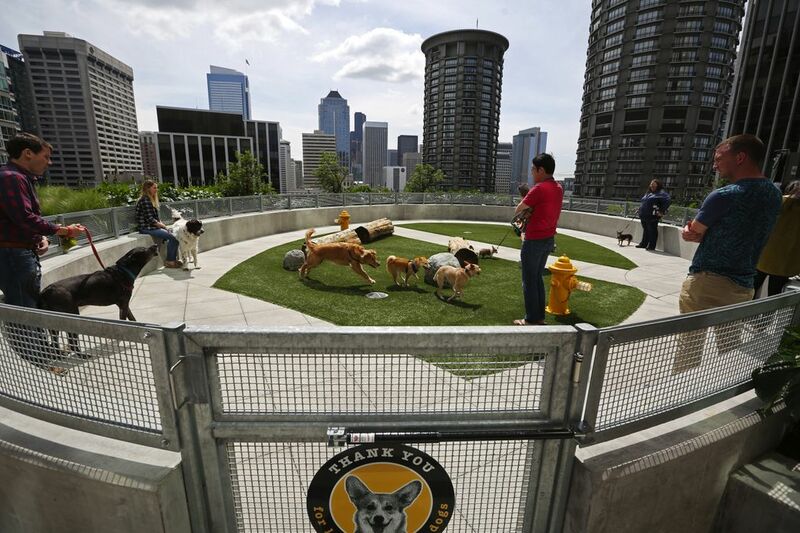 Canines have what probably is the most scenic doggy playground in the area, an outside space on the 17th floor, complete with ersatz fire hydrants and a view of the twin Westin towers. Amazon says it’s also for staffers to take in the urban landscape. Heat for the campus is being recycled from that created by the Westin Building Exchange, a huge telecom hub that lies across the street. Other key aspects of the campus already finished are a cafeteria and a huge meeting space that has stadium seating and basketball hoops that can descend from the ceiling. On Thursday, it was hosting a travel fair for employees. The cafeteria, following Amazon custom, is not subsidized. Schoettler said food options in the towers are designed to accommodate only one third of the buildings’ occupants. “We want people to go out and be in the neighborhood,” he said. Microsoft, Google and other tech titans have built their college campus-like workplaces in the suburbs, where land was cheap and where many of their employees could continue a simulacrum of their academic experience. Amazon’s urban campus took form when city living was becoming fashionable again, and it has helped spur what seems to be an unprecedented boom in the city’s fortunes. Schoettler said 70 percent of Amazon’s Seattle employees live in the city, and less than half use a car; 20 percent walk to work. A lot of them bike: there are lockers for 400 bikes in the building. 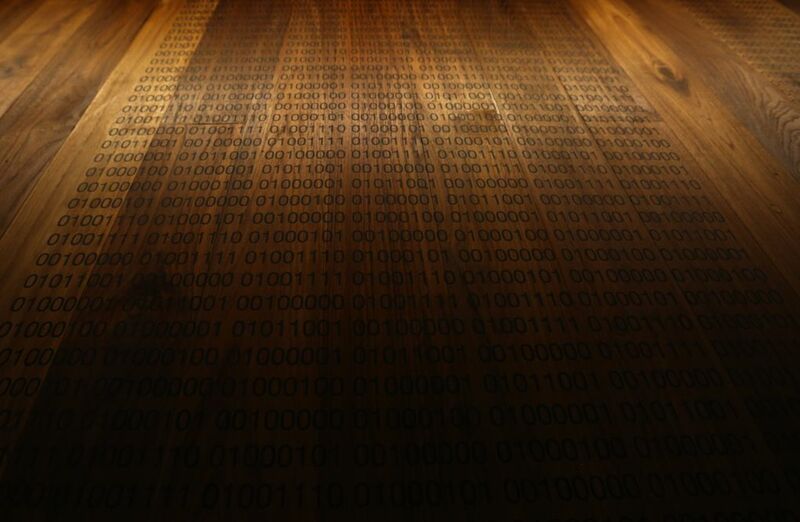 Some 15 percent live in the same ZIP code as their office. Schoettler himself lives in the area. To be sure, Amazon’s outsized weight in the city’s economy has generated pushback as traffic rises and rents soar. At the same time, that’s always been the history of Seattle, which has undergone successive waves of transformation by pioneers from the days of the Alaska Gold Rush on.